Will Georgia turn their program around? This will be UGA’s second year in the 3-4 defense and while losing AJ Green and Justin Houston to the NFL hurts, a top five recruiting class will ease the pain. After much speculation on whether star running back Washaun Ealey would transfer, head coach Mark Richt has lifted his suspension and he is practicing with the team again. This gives Georgia a great 1-2-3 punch at tail back with Ealey, Caleb King and incoming freshman stud Isaiah Crowell(get to know Isaiah). Sophomore quarterback Aaron Murray looked stellar as a freshman throwing 24 touchdowns to just 8 interceptions. He is poised to become the best quarterback in the SEC in the not too distant future. The biggest matchups on the Bulldog’s schedule are Boise State at the Georgia Dome to open up the season followed by a week two contest at home with reigning SEC East champs South Carolina. Georgia as always plays Florida in Jacksonville in late October. The Dawgs do not have to play national title contenders Alabama or LSU this year unless it is in the SEC Championship so a 6-2 showing in the SEC is very realistic. Be on the lookout for Alec Ogletree who is moving to inside linebacker after playing safety in high school and keep an eye on strong safety Bacarri Rambo who will lead the defense this year. Can Nebraska win the Big 10 in its first year in the conference? At this point all signs point to yes. The Cornhuskers get Ohio State at home in Terrelle Pryor, Boom Herron and DeVier Posey’s first game back from suspensions. After some transfer rumors quarterback Taylor Martinez is still the man and he can only improve after a superb freshman year. Although he was banged up the majority of 2010 he still passed for over 1,600 yards and ran for 965 more. Nebraska immediately sports the best defense in the Big 10 with NFL prospects like cornerback Alfonzo Dennard, linebacker Lavonte David, cornerback Ciante Evans and defensive tackle Jared Crick. They have the deepest and most talented secondary in the country(sorry Bama). The Huskers do not have to play Wisconsin but they do have to pay visits to Penn State who don’t know who their quarterback is yet and Michigan who just don’t have the athletes on the defensive side of the ball to make a run. Expect to see a Nebraska-Ohio State rematch in the Big 10 championship this year unless Wisconsin can defeat the Buckeyes in the Horseshoe in late October. 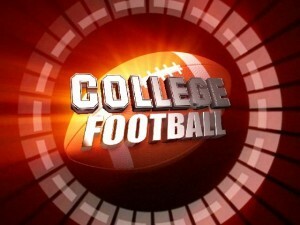 Can Oklahoma reach the BCS title game? If I had to rank the top three teams right now it would be 1- Alabama, 2- Oregon/LSU winner September 3rd, and 3- Stanford. Oklahoma would be a close fourth with Heisman candidate quarterback Landry Jones and wide out Ryan Broyles. Remember, this year the Big 12 loses its championship game and goes to a round robin nine game conference schedule. The key games for OU are an early season matchup at Florida State, an early October matchup with Texas and at Oklahoma State to end the regular season. Texas A&M is a program on the rise and the Sooners cannot overlook the Aggies. The Sooners would have to run the table because there is no chance a one loss Oklahoma gets a BCS title nod over a one loss SEC team, a one loss PAC 12 team or an undefeated TCU or Boise State who play each other November 12th. There are some questions on the defensive side of the ball but Travis Lewis, Jamell Fleming and Frank Alexander return for their senior seasons to lead what should be one of the best defenses in a very weak Big 12 this year. They can run the table but they are far from a national juggernaut. College football fans get a brief respite this month with spring practice across the nation. College football popularity in America trails only the NFL, and with the labor strife in the pro ranks, guess what may move to #1. Many questions face elite teams as they move towards the 2011 season, FantasySP takes a look at some of them, in no particular order. Lots of change at Alabama– The most high profile story will be the battle to replace departed quarterback Greg McElroy. A.J. McCarron with the edge over Phillip Simms, two very highly recruited signal callers. Trent Richardson should step in to replace Mark Ingram, but fellow early departees Julio Jones and Marcel Dareus will be much harder shoes to fill. Anything short of a national championship will be considered failure in Tuscaloosa. Will Notre Dame make another step towards a return to the elite?- The Fighting Irish got off to a very bad start with All American receiver Michael Floyd suspended from the team indefinitely for a violation of team rules. Quarterback Dayne Crist returns from injury and should recapture the starting job from sophomore Tommy Rees who was a pleasant surprise. Notre Dame’s incoming defensive line prospects may be the most touted in school history (and much needed). Will Stanford’s Luck continue without Harbaugh?- Cardinal quarterback Andrew Luck surprised many by putting the NFL on hold, despite being the probable #1 overall pick. Can Stanford continue the upward tick without the relentless Jim Harbaugh? Protection of Luck will be a huge factor as most of the offensive line must be replaced. The offense will remain balanced with junior running back Stephan Taylor, the real deal. The Cardinal beat down of Virginia Tech in the Orange Bowl was the best performance of any team in the post season. Will USC rebound before sanctions finally hit?- Lane Kiffin is stockpiling, bracing for the inevitable scholarship limitations to hit. Eight early enrollees and another consensus top 5 class will help ease the pain. Junior Matt Barkley returns for a third season starting at quarterback and can keep the Trojans in any game. If Southern Cal is to win though, major improvements must come on the defensive side of the ball where they have been traditionally dominant. Can Ohio State survive early schedule without Tressel and Pryor?- With Terrelle Pyor suspended for the first five games, true freshman Braxton Miller will get a crash course to prepare. With Miami(Fl) and Michigan State the only true challenges in those first five weeks, the real question will be how the Buckeyes perform without sweater vest. Pryor isn’t the only skill player that will sit out, running back Dan (Boom) Herron and receiver DeVier Posey will also be absent on game day. The good news, Tressel and the suspended players will be able to participate in all activities, including practice, during the suspension. Michgan returns to smash mouth with Rich Rod finally gone?- The long anticipated firing of Rich Rodriguez mercifully came to fruition in January. The Wolverines wanted Jim Harbaugh to come home, but settled for Brady Hoke. With Michigan promising a return to smash mouth, what does that mean for quarterback Denard Robinson? Embattled defensive coordinator Greg Robinson is also gone, replaced by former Baltimore Ravens assistant Greg Mattison. With nine starters returning on offense, fixing the porous defense will be the key to the Wolverines return to respectability. Urban Meyer gone (again) will Muschamp bring Gators back?- Urban Meyer is gone again, supposedly to spend more time with his family. I guess his family has moved from Gainesville to Bristol, Connecticut because that’s where the legend has been spending his time. Will Muschamp steps in, abandoning the coach in waiting position in Austin. The Tebow offense is gone thanks to new coordinator Charlie Weis. Good news for John Brantley, not so good for Trey Burton and Jordan Reed. Corner Janoris Jenkins reversing his decision to leave early was huge for the Gators defense. Jeff Driskel will get his feet wet as the eventual (2012) replacement for Brantley under center. Can Oregon return to title game?- Believe it or not, the Ducks could be even betteron offense in 2011. Quarterback Darron Thomas returns, as do running backs LaMichael James and Kenjon Barner. If that’s not enough, red shirt freshman Lache Seastrunk and true freshman De’Athony (Black Mamba) Thomas debut. The nation’s top kick returner, Cliff Harris, returns and should have plenty of competition from a bevy of elite athletes. The Ducks have lots of work to do replacing lineman on both sides of the ball, but expect Oregon to light up the scoreboard again this season. How far will Auburn fall with so many players lost?- Never before has a national championship team had to replace so many players. In fact, Auburn has fewer starters returning than anyteam in Division 1. Not only did Auburn lose its largest senior class in school history, but Cam Newton, Nick Fairley and Darvin Adams departed early for the NFL. But there’s more, Auburn loses five players to disciplinary reasons. When its all said and done, nearly forty percent of the entire 2010 roster is gone. The Tigers get Florida and Alabama at home, but have a brutal road schedule, @ Clemson, @Arkansas, @ LSU, @ Georgia and @ South Carolina. Were the 2010 Longhorns an abberation?- Wow, what a disaster 2010 brought University of Texas football. Arguably the most consistently elite team in college football, the Longhorns were embarrassing last season. Coach in waiting Will Muschamp is gone, along four other assistants. After getting a rude initiation in the 2009 national title game, all indications were the beginning of a long career for quaterback Garrett Gilbert. Not so fast my friend! We’re told the position is an open battle, with a group of candidates, including Colt’s little brother Case McCoy. The good news? A huge contract with ESPN for the Longhorn network, Texas sports 24-7! Is this the last season for Joe Paterno in Happy Valley?- Joe Paw returns to guide Penn State in the final season of his currrent contact, even so, he has given no indication of a retirement date. This is bad news for the NittanyLions as his uncertain future continues to hamper recruiting. Why? Recruits want to know the coach that brings them in will be there for their entire stay. That’s a question that nobody, including Coach Paterno can answer. There are many other questions, the most pressing remaining at quarterback. Running back Evan Royster is off to the NFL and although he struggled at best in 2010, he had been a consistent source of offense since his freshman year. Is Florida State about to come all the way back?- We are now a year removed from Bobby Bowden’s unceremonious removal from the Seminole sidelines. The ‘Noles showed improvement under former coach in waiting Jimbo Fisher, but fell flat against Virginia Tech in the ACC title game. Quarterback Christian Ponder is turning pro and FSU is hoping long time prospect E.J.Manuel can step up. Offensive line and safety are the only positions that stand in the way of Florida State representing the Atlantic Coast Conference in the Orange Bowl. An absolute stud 2011 recruiting class should help them arrive. As college football elite show their stuff in Indianapolis at the NFL combine, club execs are faced with a tough task- reliable player evaluation. As technology explodes, so does the amount of information gathered in advance of the April NFL draft. ESPN and the NFL Network are the best in the business of grading and projecting college players transition from the college to the pro game. Mel Kiper Jr carved a niche for himself at ESPN in the 80’s when the draft was a mere blip on the radar. Kiper’s persona is such, he insists to have received interest from pro teams to run their player personnel departments, offers he claims to have rejected. The NFL Network’s superstar is former player Mike Mayock. Mayock gained notoriety by absolutely “owning” the 2010 NFL draft coverage alongside analyst Jon Gruden. “Chucky” benefited from the magical Mayock performance to the extent of landing the Monday Night Football ‘gig”. The information overload peaked with the NFL Network began carrying the combine “tryouts” Live. The Internet was the first big plaeteau in the NFL Combine’s rise to prominence on the annual calendar. Mock drafts are everywhere, sites are devoted entirely to the process leading up to the NFL draft, the Combine serving as the main course. What is the most important factor when choosing a young man and paying him, in some cases, tens of millions of dollars? –On field performance: How an athlete performed during his career used to be the only real barometer when slotting talent for the draft. Is he a “good football player”? seems reasonable to me. Further to the evaluation, what level of the competition did he perform against? –Measurables– This has had the biggest impact, especially since the meteoric rise of the NFL combine. How much can he lift? How fast can he run? How high can he jump?How does he look in his underwear? Without a doubt, how a player performs at the combine is having a huge impact on where they land on draft day(s). Bruce Campbell is a perfect example. A year ago, Campbell performed like Adonis at the combine, blowing away the competition. Following a pedestrian career at the University of Maryland, most figured he would be a free agent, bypassed in the draft. But wait! following the herculean workouts at the combine, “experts” and scouts (notice not one in the same) had him possibly a 1st rounder! Cooler heads prevailed, he ended up right smack in the middle of the draft, taken by the Oakland Raiders in the 4th round. Future is Now and Need: Do we have time to wait for kids to develop or are they took risky to take altogether? George Allen, the legendary Redskins Head Coach of the 70’s believed “the future is now”. Dan Snyder who at times runs the Skins like a fantasy team seems to share the future is now belief. The Redskins were also involved in the famous Ricky Williams trade where New Orleans Head Coach Mike Ditka traded his ENTIRE draft to Washington for the opportunity to take the dread locked running back from Texas. What about need? Do we take a guy at a position where our situation is a disaster? or do we simply take the best player available, every year- every pick. In my opinion, New England displays the PERFECT patience in running a franchise. You need only look at the 2011 NFL draft, where you find the Patriots with an extra pick in each of the first four rounds. Patience, trading back, and trading picks for next year, Bill Belichick knows how to coach and just as importantly how to stockpile talent. The Pats have gone from old to young in a couple of seasons without missing a beat, on the field. Finally, more Mike Mayock man love…. If you want to exponentially increase your knowledge of the X’s and O’s of football, watch what is left of the combine this week. Mayock is a wealth of knowledge and shares it in a very conversational fashion. While the NFL has an uncertain future, the NFL’s future is on display this week in Indianapolis. Tight ends, kickers and other specialists got things started with the combine staggered by position with each group getting four days to show their stuff. The first three days are uneventful for You The Fan. Day one, athletes go through orientation and receive clearance from medical staff. Day two filled with measurements, media time and interviews. Day three features meetings with the players association and more mental testing. Finally, on the fourth day the NFL network gets real involved and we get to see the athletes in action. For your viewing pleasure, the 4th day is when we get to see the meat market. Here’s a quick calendar to make sure you catch the position groups you seek! What exactly will we see on Day 4? To wrap things up, players execute a half dozen drills specific to position. This is where we get the directly “football related” activities. What’s new this year? Cablecam technology! No, not specifically for Cam Newton, but a cutting edge overhead angle which promises a unique and more intimate view of the workouts. Best of the Best. If you don’t know Mike Mayock. You need to. The NFL Networks draft expert IS the best in the business. With the NFL combine and April’s NFL draft continuing despite labor unrest, this may be NFL fans last taste of pro gridiron action for awhile. More than 300 athletes and more than 30 hours of LIVE NFL Network coverage, certainly enough to satisfy any football appetite.